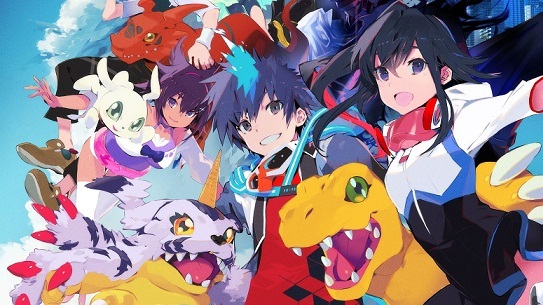 In Digimon World: Next Order, the life of your Digimon will not last forever because they have a certain lifetime. At the end of this time, they will die and then reborn as a DigiEgg. However, if you are able to recruit MarineAngemon, you can extend the lifespan of your Digimon. In this guide, we show you how you can extend the life of your Digimon. Since the life of your companion is limited, it is recommended that you complete as many quests and challenges as possible with your first Digimon so you can take advantage of the next generation. For example: these include the tame skills or the development of the meat farm. If you bring your companions to digivolves, their lifespan increases a bit. For example: an Ultimate Digimon lives 14 days and a mega digimon lives 18 days. If you don’t want to train for a long time, you can also use Digivolution items to increase the lifetime. One of them gets you through the Meteormon riddle. One of the biggest advantages is when you build tamer skills you can extend your life. For only 3 TP you can get the skills and extend the lifetime by 20 days. Stat boost is also enabled when you have played the game. This brings you to a whole 99 days of life. However, it can sometimes happen that you want to let your Digimon deliberately die. For example: if you did not pay attention to the training and your digimon is digitized incorrectly, you can quickly convert it into an "egg". Stone: On the MOD ship you have to look around the door to the Captain's cabin. Old Telescope: You will find the telescope in the captain's cabin behind Vikemon. Ring: Go to Ship 3.0 and find the item at the top right of Black Gatomon. Spoon: Go to Captain's cabin near the door to Ship 3.0 (Cabin). If you have handed the bent spoon to MarineAngemon, then it will go and open a hospital. In this you can transfer lifespan. A digimon takes six hours of life and adds it to another. So you lose something and win at the same time. The prerequisite for this is that your Digimon can still live for at least two days. This method can help you not only increase your life, but also make your Digimon die faster.